A stunning bedside chest with a pull out tray and a rattan shelf. 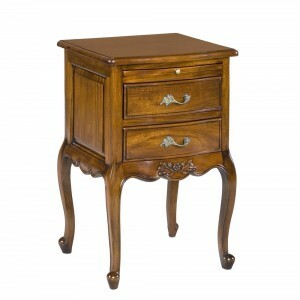 This bedside table features 1 drawer and is hand finished in a lovely warm Ivory. With attention to detail, it looks amazing when paired up with the Ivory French Inspired Rattan Bed. The table is available to purchase online, in store, over the phone or by email.